What is Metricool’s extension for? 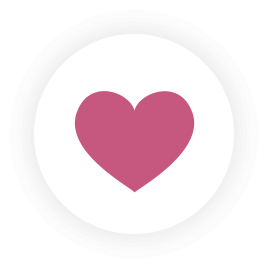 Why should you add Metricool’s extension to your browser? 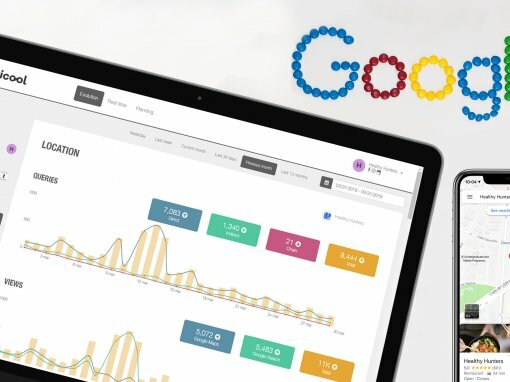 We have news about the new Chrome extension for Social Networks offered by Metricool. Yes, exactly as you’ve heard, plan your content from your desktop with a few clicks. They are apps to carry out very specific tasks while browsing the internet. 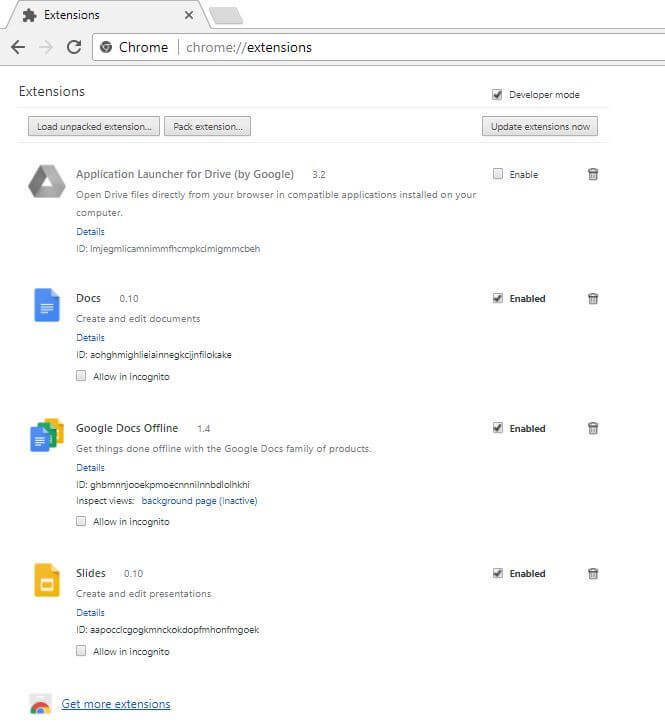 When you download Google Chrome on your computer, some of these extensions are automatically included, like YouTube or Gmail. As you use this browser, you can start adding the extensions that you need most. This extension offered by Metricool is a new feature that we have added to Google Chrome. 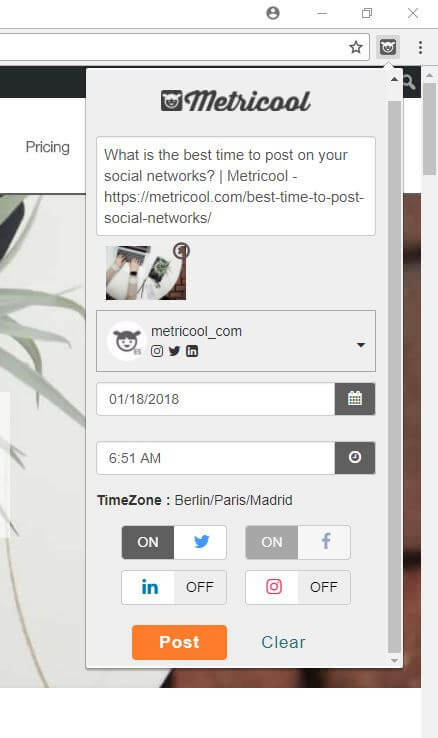 It allows you to easily publish or schedule your content on the social networks that you have previously linked to Metricool. 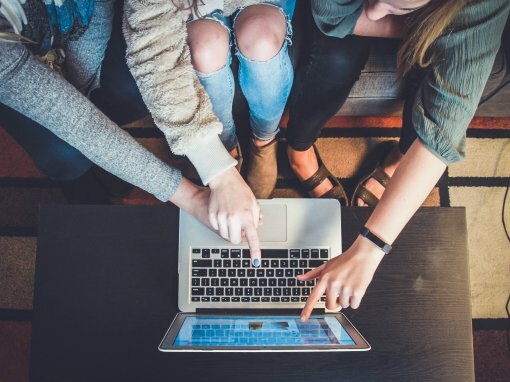 It’s not a replacement of the desktop where we usually plan publications, but it comes in very handy when you want to post something while browsing the internet. Open a new tab on Google Chrome and click on the three dots on the top right corner. 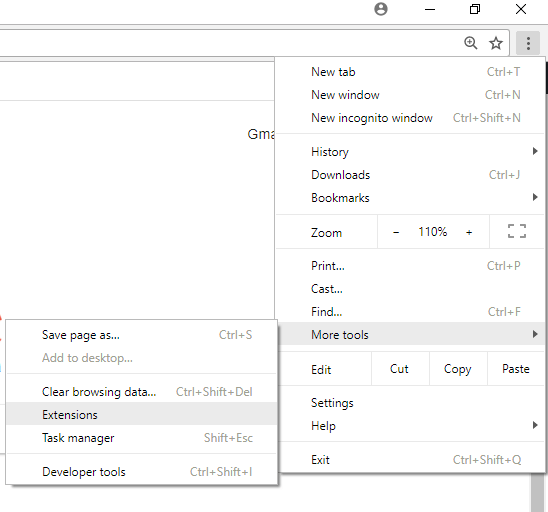 Click ‘More tools’ on the drop-down menu. A new drop-down menu will open. Click on the option ‘Extensions’. Click on ‘Get more extensions’, you will find this option at the end of your current list of extensions, on the left-hand side. Write Metricool in the search bar on the new open tab. The extension is installed, you can access and use it from the top right corner of your browser. The answer is clear, to make your life easier and to save you time. When you are browsing the internet, and you bump into an article that you’d like to share on Twitter or a web page that you want to add to LinkedIn, instead of copying the link and having to go to Metricool’s home page, with this new feature, you just have to click on the new extension on the upper-right corner. Once you do it, a kind of menu will open where you can customize and plan your content as you like. The first option is to choose the text that will go in the publication. Next, the photo highlighted from the publication that goes with the content will be displayed. You can delete this image or replace it with the URL of an image that you want to add. 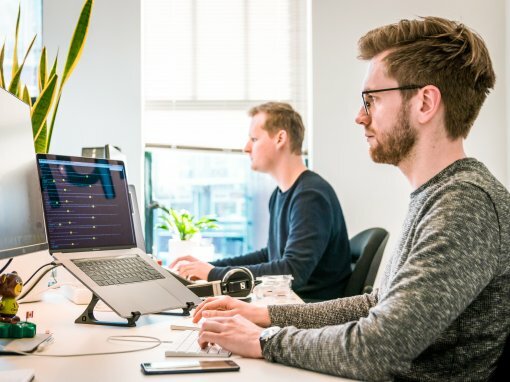 The second step will consist of choosing the account that you want to publish from as long as it is connected to Metricool. Lastly, you will select the time and date that you want to publish and also, on which social networks you want your publication to be shared. Then press post and your publication will be scheduled. You can go to Metricool’s planning section to check that your post is configured correctly. You will have the option to make any change you want. So, what are you waiting for? Go and install Metricool’s new Chrome extension. You won’t know what to do without it!